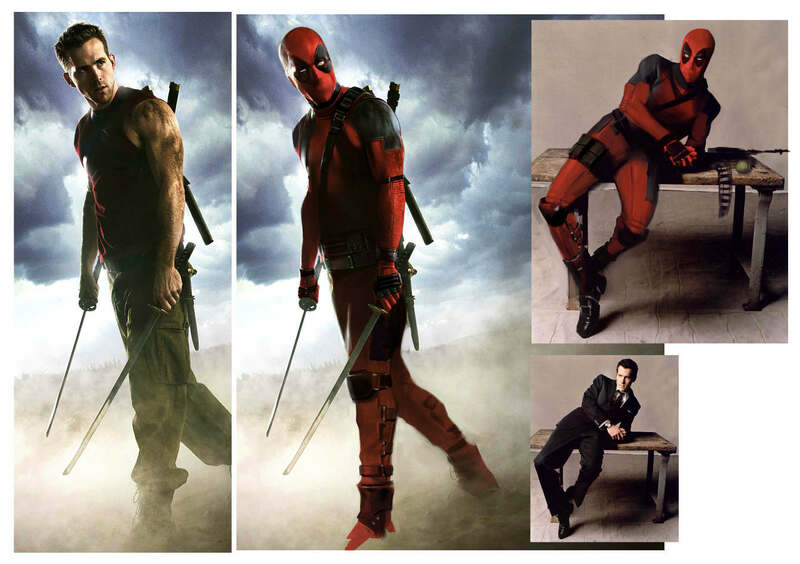 Where the designer lays out his amazing process in designing the Deadpool and Negasonic Teenage Warhead costumes. This was the very first image I painted for the Deadpool movie in 2011. Tim was just approached to direct and it was a rare slow work day at Blur. I was thinking about how enraging that Wolverine movie was and I thought it would be funny to paint over one of their promo photos. I believe Tim used this in one of his initial pitch packages for Fox..